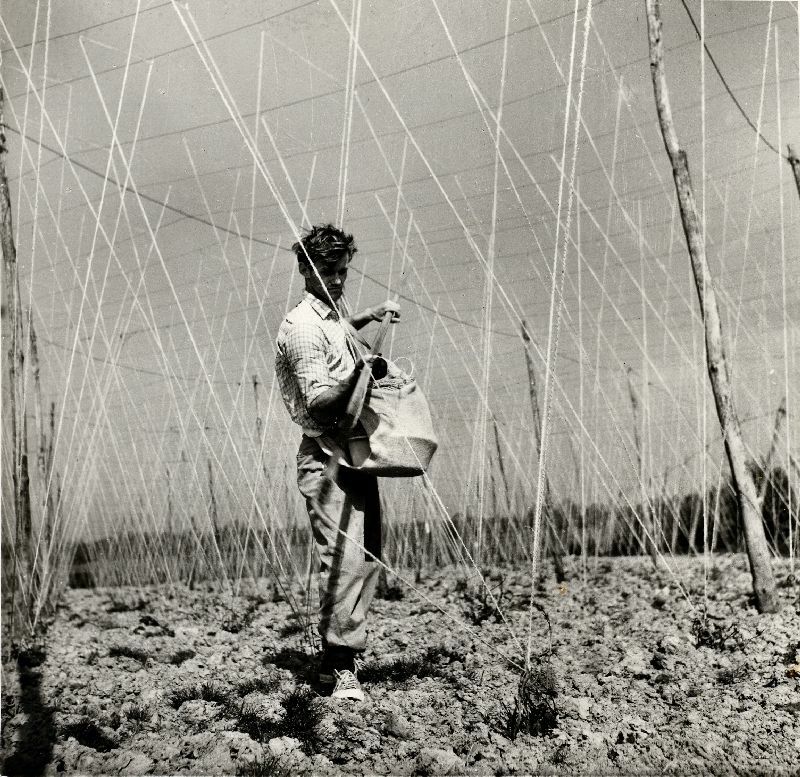 In late winter/early spring, before the hops ahd started into growth, stringing began. 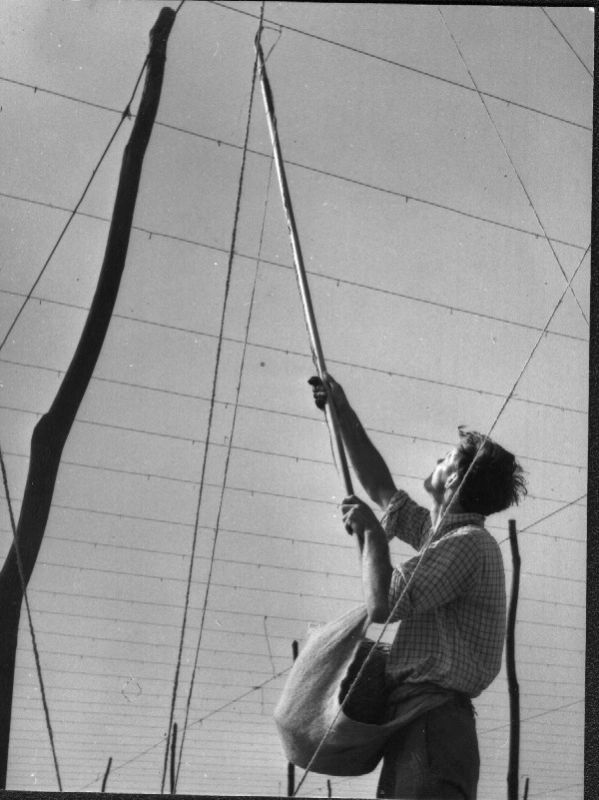 Hops in Bodiam were grown in hop gardens which comprised of poles at regular intervals throughout the hop garden which supported wires strung between the poles. String was strung between the ground (attached to hill pegs) and hooks on the wires. Stringing was was a skillful job to ensure that the continuous length of string was strung to cover each hop plant in the hop garden. There were normally four strings for each hop plant arranged in the form of an inverted pyramid. To allow tractors to pass between the rows of hops, the four strings were pulled together by a band of string at about 5 foot high. This was known as banding. (I hope the photos below will give a better illustration). 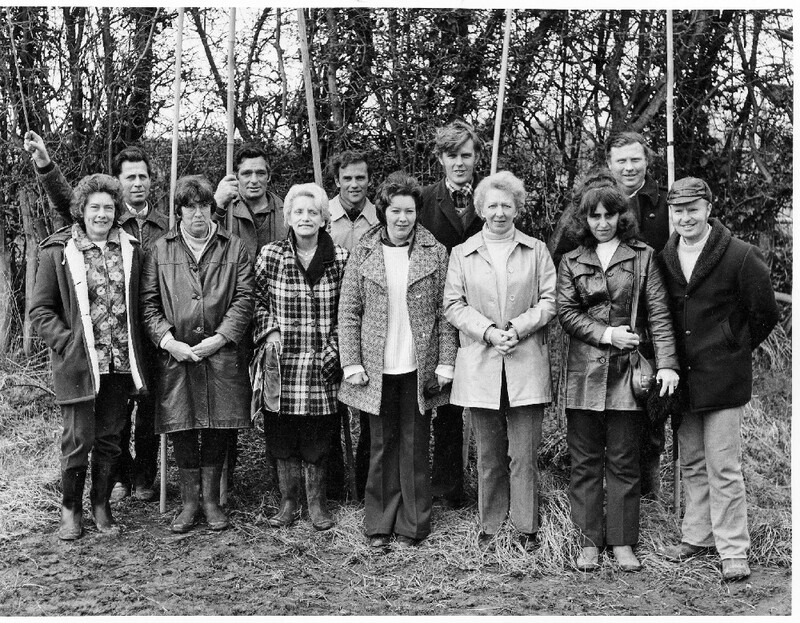 Hop Stringing Competitions were started by the Weald of Kent Ploughing Match Association in 1948 and they continued until 1978. 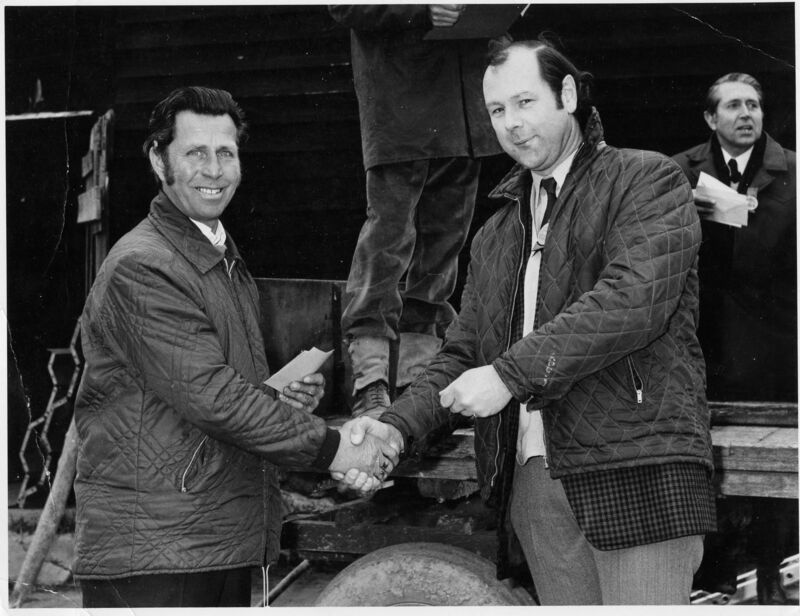 The competition was held on various hop farms in the Weald of Kent. 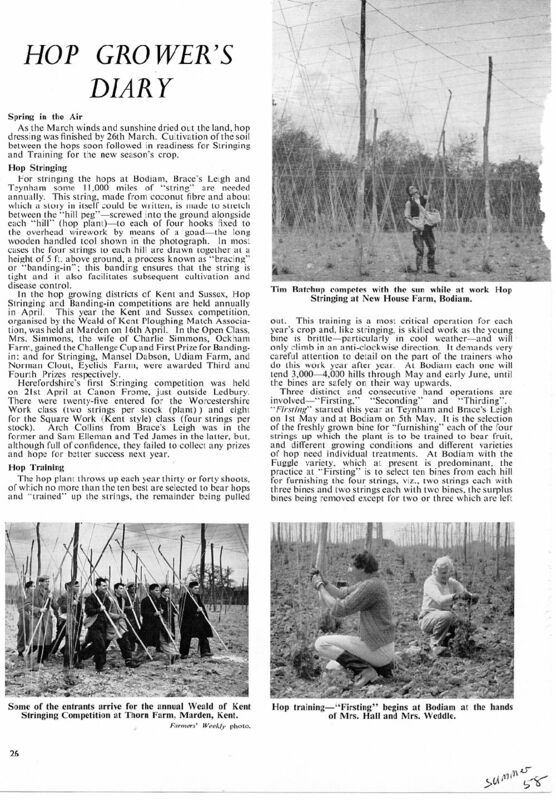 Some of the photos below are of Guinness Hop Farm workers competing in Hop Stringing Competitions run by the Weald of Kent Ploughing Match Association.